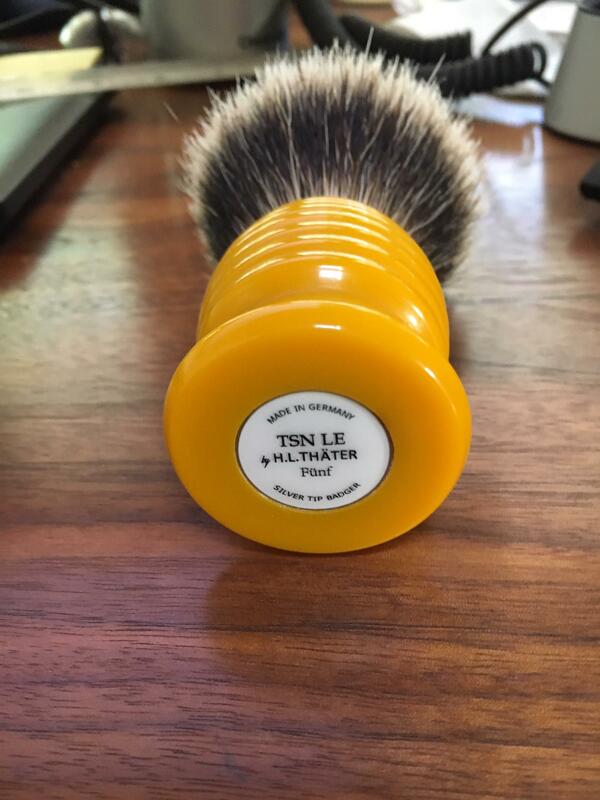 I am selling my Thater, TSN 5th Anniversary Limited Edition Fünf, beehive butterscotch brush, the desirable fan knot, 2-band silver tip badger. New was $165 - selling for $120. 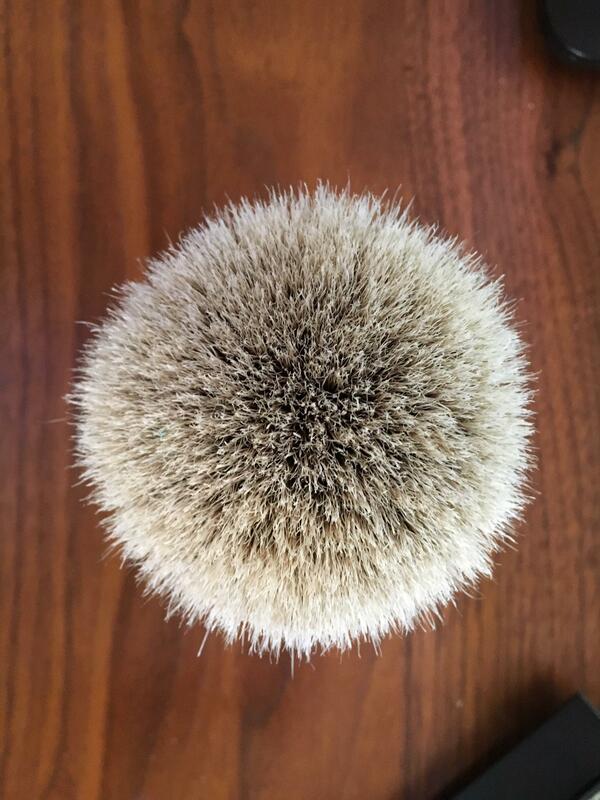 From the website: The Shave Nook commissioned a limited edition shaving brush from Heinrich L. Thater to commemorate their fifth anniversary. 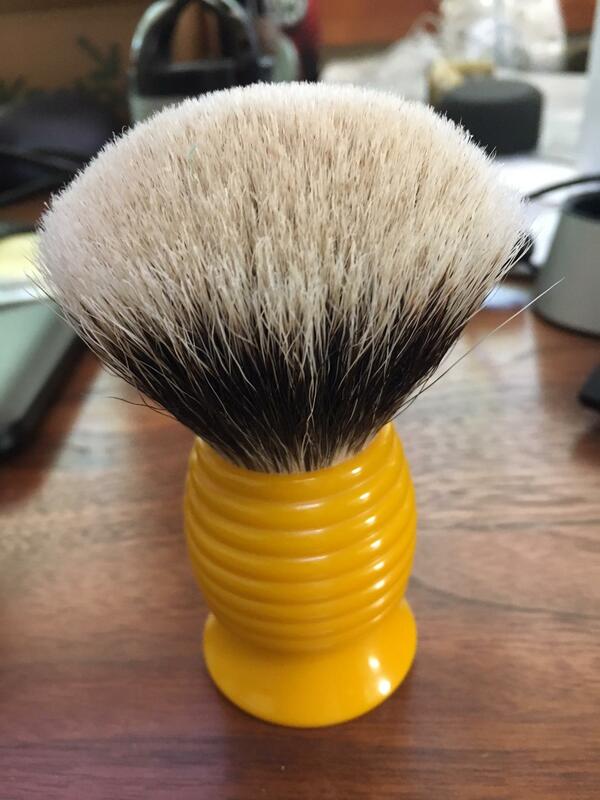 The brush utilizes Thater's highly acclaimed two band badger hair in a very ergonomic butterscotch beehive handle. This brush combines soft tips, moderate backbone and superior flow through....especially once the brush breaks in. It is suitable for both hard soaps and soft creams and is great for both face lathering and bowl lathering.